Whenever possible, Great Alaska Adventures and Alaska BearCamp® (collectively shall be known as “operator” for terms of this document) attempt to follow our itineraries as written, however they are only a guideline, and routinely our trips deviate from the written itinerary due to weather conditions, acts of god (storms, tides, Volcanoes and the like) or other unforeseen circumstances out of our control. (These are collectively known as “the Alaska Factor”). Our managers work diligently with you regarding changes as they arise, but the operator strictly reserves the right to have final decision on any and all itinerary decisions. Travel delays can be a factor in any Alaska wilderness Travel. We HIGHLY RECOMMEND extra time in Anchorage prior to and after your time with us to account for any weather-related delays, acts of God, etc.Operator is strictly not responsible for any additional expenses due to travel delays of any kind. Overnight BearCamp guests especially can be affected by travel delays, so don’t be caught unprepared. Your safety is our #1 concern, and we will not fly if conditions do not safely allow it, regardless of the importance of your other scheduled activities or what other pilots are doing. We often do not receive definitive weather information until the last minute, and thus decisions must be made quickly. We accept no responsibility for baggage fees, flight delays, additional overnights or cancellation fees for missed hotel reservations, flights or any other travel related fees due to weather or other conditions related to wilderness travel to BearCamp. All BearCamp® clients must read and understand our cancellations and refunds policy. All BearCamp trips are weather dependent, and all who book this trip will be required to sign an acknowledgment of risk form, as well as to confirm they have read and understood our terms and conditions. Understanding that and planning for it will help you to better enjoy the experience. If you choose not to sign the form, you will not be allowed on the plane and will not receive a refund. There are a number of scenarios, so please read the below carefully! •	If any BearCamp® trip is canceled due to weather, and you as the traveling party do not board the van to travel from Anchorage on our provided transfers, you will receive 100% refund of your trip. The same applies if you are providing your own transfers and do not board the plane, or use our facilities whatsoever once the trip has been canceled. •	2-day “BearCamp® only” trips: If you travel on the van from Anchorage to the lodge, but your flight to BearCamp is canceled and you have lunch at our lodge and return to Anchorage that evening, but no activity while at the lodge, you'll receive a full refund less 100.00 per person. •	If you travel on the van from Anchorage to the main lodge, have lunch at the lodge and enjoy any substitute activity while at the lodge, and then return that SAME DAY to Anchorage on our van, the refund is full amount less 150.00 per person. If the substitute activity is guided fishing, then you'll receive a refund less $395.00 per person, plus tax. •	For 3 day BearCamp® trips: If you travel to the lodge, take meals at the lodge and do a substitute activity on day one (rather than fly to BearCamp) and then do happy hour/dinner/overnight at Great Alaska (or a local in that we arrange), and then for the second day, you are not able to fly to BearCamp the following day and return to Anchorage on the van, (returning on day two) refund is trip price less $550.00 per person. •	(3-day trips, cont.) If you stay at the main lodge, have meals but no activity, and return to Anchorage on our van on day 2 without having been able to fly to BearCamp®, full refund less 250.00 per person, per night at main lodge. Any addition night with meals at the main lodge is charged at 250.00 per person, per night, space available. •	On 3-day BearCamp trip, if 1st night is spent at main lodge rather than BearCamp due to weather or any other reason, only 1 night will be allowed at BearCamp, and refund of 150 per person will be issued. You will not be able to extend for another night at BearCamp unless operator confirms space is available, and you will then be charged for the extra night/meal at the main lodge. •	No refunds will be given for guests choosing to leave any trip early, for any reason. •	Guests "weathered in" to the camp for extra days that are not scheduled, will be charged a minimal fee of 150.00 per person/per day if they were not scheduled to be with us on those days. No charge for guests who were scheduled to be with us on other activities. Please note that if you booked your trip through an agent who “netted out” commission, Great Alaska will refund the agent the appropriate amount and it will be the agent’s responsibility to refund the full amount, full our booking policy. By booking and paying for a trip to BearCamp, or any trip to Great Alaska Adventures that includes a stay at BearCamp, you are accepting and agreeing to abide by all of the above terms and conditions. Signing the above form confirms you have read and agree to abide by the above policies. 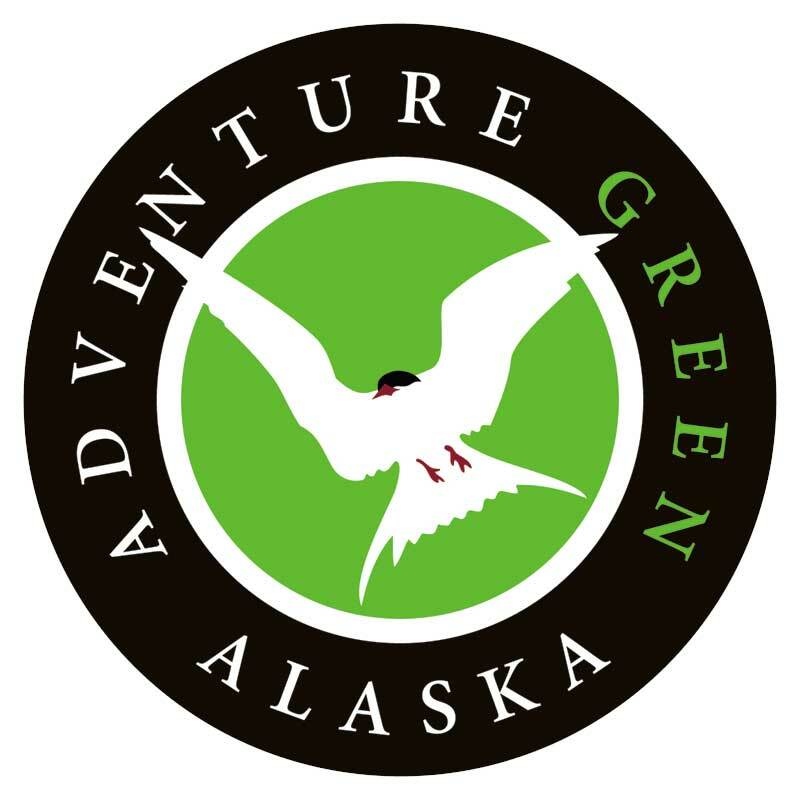 In addition to sharing the amazing Kenai with our guests, protection of our environment and all of it's unique and amazing wildlife is at the core of all adventure travel and wilderness fishing experiences, and since 2010, Great Alaska Adventures is proud to be certified as a sustainable Travel Destination from Adventure Green Alaska - Alaska's recognized tourism certification program.